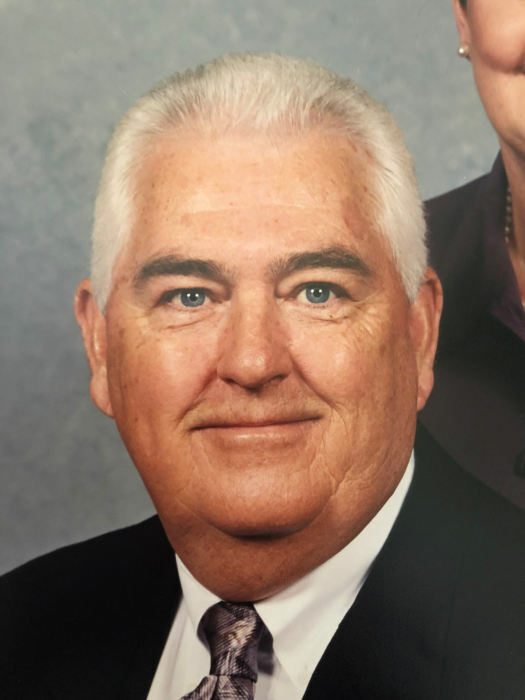 Kenneth Earl Elrod, 79, of Ringgold, Georgia went home to be with the Lord, Sunday, March 31, 2019. He was born December 15, 1939 to the late Johnnie W Elrod and Leola Violet Wade Elrod. He was a lifelong resident of North Georgia. Kenneth served in the United States Navy as a third class petty officer in Norfolk, Virginia and loved the honor of serving his country. His servant’s heart continued throughout his life both in his career and personally with his many friends and loving family. He retired from BASF after working over 32 years. His gentle and kind spirit never met a stranger, and he put others first in all that he did. As an avid Braves baseball fan, he loved cheering on his favorite team each season. He was an active member of The Crossing in Chattanooga, Tennessee serving on several committees and as head usher. He was a devoted family man taking great pride and joy in his sons and their families. Survivors include his loving wife of 60 years, Linda Faye Elrod, their sons, Scott (Carla) Elrod, Steve (Sabra) Elrod, Chris (Lisa) Elrod, and Tyler Elrod; grandchildren, Natalie (Brad) Ryans, Dustin Elrod, Stephanie (Dane) Fehr, Christopher (Kirsten) Elrod, and Lauren Elrod; great-grandchildren, Jenna Brooke and Jake Ryans, Leland and Emmett Elrod, Whit and Lucy Fehr, and Lorelai Elrod; sister, Wyvonne (Roger) Parton, and several nieces and nephews. Funeral services will be at 11:00 Thursday, April 4, 2019 in the funeral home chapel with Pastor Pete Anderson officiating. The family will receive friends from 2-4 PM and 6-8 PM Wednesday at Heritage Funeral Home, Battlefield Parkway.